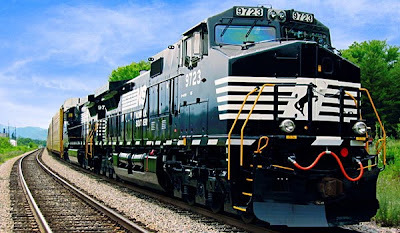 Summary: Norfolk Southern has set a goal to reduce its greenhouse gas (GHG) emissions per revenue ton-mile 10 percent by 2014, using 2009 as a baseline. 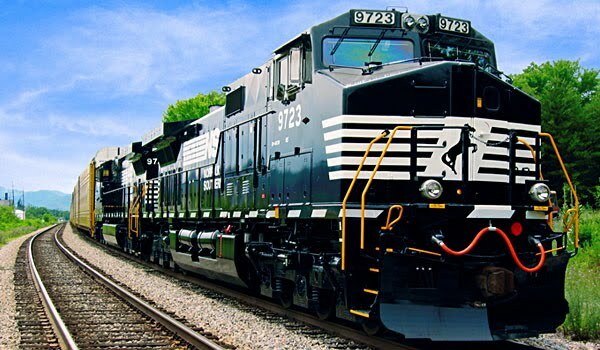 The freight rail transportation company expects to reduce its carbon footprint through fuel-savings technology and improvements in operating efficiencies. Summary: An Albemarle County Circuit Court judge has set aside a subpoena issued by Virginia Attorney General Ken Cuccinelli to the University of Virginia seeking documents related to the work of climate scientist and former university professor Michael Mann. Summary: Metrorail customers can now get real-time next train arrival information by phone, in addition to online and via web-enabled mobile devices. Summary: A "spot improvement" on westbound I-66 between the George Mason Drive and Sycamore Street is underway. These projects which are essentially short-distance widenings, have been the subject of great debate for more than a decade. VDOT has long wanted to widen I-66 to three lanes in each direction; Arlington, smart growth and environmental groups have been strongly opposed. Summary: The first of 114 stations has been installed in Crystal City. Summary: The Ronald Reagan Building & International Trade Center (1300 Pennsylvania Avenue) will be one of at least two federal sites where the US government will test a new pilot program designed to help businesses, governments and other organizations reduce energy use in their buildings. Summary: Activists trying to stop mountaintop removal coal mining in Appalachia are furious over a Nike Inc. promotional ad for a new West Virginia football uniform designed in tribute to the 29 victims of the Upper Big Branch mine explosion. Summary: Most fights among D.C. residents somehow involve parking. So you could argue that David Alpert’s introduction to local political warfare was only typical.